The global pharma market is heading for a period of “notable slowdown” between now and 2023, as growth rates dip below the 6% average seen in the last five years. That is the prediction of IQVIA’s latest forecast report, which estimates that the market will be worth $1.5trn in 2023, up from $4.2trn last year, with growth in the next few years in the 3% to 6% range, mainly due to sluggish growth in Europe, and static or shrinking sales in Japan. Crucially, China’s wider economic slowdown will also affect pharma, with the double-digit growth of 2014 and before falling to 4.5% last year and expected to stay at 3% to 6% - the same as the US market – over the next five years. “All pharmerging markets will see slower growth in the next five years than in the past five as the economic growth and healthcare access expansions of the past contribute less to growth,” says the report. 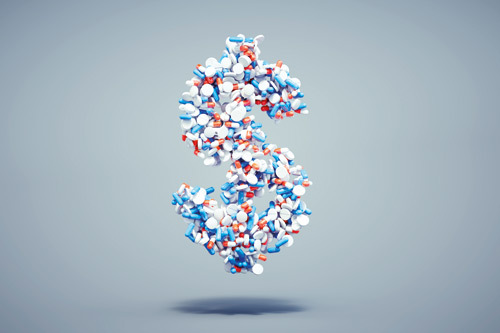 The overarching market figures don’t reveal the big changes for different product categories beneath, however, and IQVIA is predicting “explosive” growth in biosimilars, which will result in approximately $160bn in lower spending over the next five years. All told, 18 of the current top 20 drugs facing generic or biosimilar competition by 2023, says IQVIA. On the other hand, in Japan for example it says that growth in new products will be strong and resistant to price cuts, despite the ongoing genericization of the market. The annual average spending in developed markets on new brands is expected to rise slightly to $45.8bn in the next five years but will represent a smaller share of brand spending. There are big unknowns when it comes to ‘next-generation biotherapeutics’ such as cell and gene therapies – particularly in the US where pricing is exercising the minds of lawmakers – as costs per patient “are challenging current payment models”. That also applies to new specialty, niche and orphan drugs which can also have significant costs. Among the notable trends in the report are an anticipated increase in the output of novel products from industry pipelines, with the annual number of new products launched expected to increase from an average of 45 in the last five years to 54 through 2023. “Along with the increasing number of launches, the type of products continues to shift to specialty, orphan, biologic and oncology products,” it says. Specialty will account for nearly two-thirds of newly-launched medicines over the next five years, becoming a $475bn-$505bn market, and oncology approximately 30%. It also predicts an increase in the use of artificial intelligence in drug discovery and development, rising numbers of mobile apps submitted for FDA approval, and further emergence of real-world evidence (RWE) within clinical development. Pharma companies will also invest more in patient affairs and advocacy, in pursuit of improvements in patient engagement and trial design.